Starring: Emma Watson, Dan Stevens, Luke Evans, Josh Gad, Kevin Kline, and more. And once again Disney comes in with another hopeful and highly favored box-office smash hit. This time with their live-action “Beauty and the Beast”. This one has spelled out “record breaker” with everything and everyone Disney has thrown into the equation; a star-studded cast headed by the beauty herself, Emma Watson. A new sound to the soundtrack that is highly revered to fans across the world. Lastly, and put simply, a live-action version of one of the most famous Disney stories in the books. Here we come, here is the Oberrated Review on the 2017 version of “Beauty and the Beast”. The film lives up to the hype and numbers, ladies and gentleman. Viewing this live-action ‘Beauty and the Beast’ was an absolute joy to experience from virtually start to finish. I have heard here and there about some criticisms and comments about how this film was pointless in making but I honestly can not vouch for those accusations. Child or adult, if you let yourself get lost in the music and visuals, this version of ‘Beauty and the Beast’ can make you feel like you are watching it for the first time again. Pure Disney magic. This cast! I was so joyed to see the cast be announced as this film was coming together. A number of cast members are legends, rising stars and prominent members of Hollywood. With the likes of Ian McKellen, Emma Watson, Ewan McGregor, Stanley Tucci, and just so many more, this film had high hopes from the initial announcement of casting choices. There was truly no performance I was disappointed by. Whichever character you may have a love for, they are performed with excellence by their respective actor or actress. Personally, I found myself smiling most scenes involving Lumière (Ewan McGregor), LeFou (Josh Gad), and very obviously, Belle (Emma Watson). These three were sheer joys to watch as they made their characters come to life. Luke Evans as Gaston deserves attention as well as he owned his role. His cocky and over-confident character was a great example of “loving to hate”. So again, enter viewing this film with no fear of not falling in love with these characters. The visuals within this film were immaculate, animated or live. From the shots of the beautiful environment surrounding the castle or the village, to the beauty of the interior of the castle itself, and most prominently, the visuals produced during the musical numbers especially involving the members of the castle. Easily, the musical number that simply “wowed” me with the visuals was “Be Our Guest”. By the end of the number I had to take a deep breath with everything that just transpired during the song… Staying on the topic of visuals and animation however, there were many criticisms regarding Beast and how he looked. I can only half agree on this. On one end, I was not entirely turned off by his appearance. I thought he looked great in some instances but there were moments where his movement seemed off. So I was not up in arms with his appearance but I can see where the criticism came from. Lastly, the music was wonderful. Not one number turned me off. From the very get go, I felt joyed every time a song finished and that feeling lasted throughout the entire film. The performances, the choreography, everything. Near perfection. Disney continues to hit home-runs with their near flawless business plan of re-imagining their animated classics and “Beauty and the Beast” is simply an example of another home-run. It is a high recommendation here from Oberrated and I definitely can vouch for the numbers it is producing. 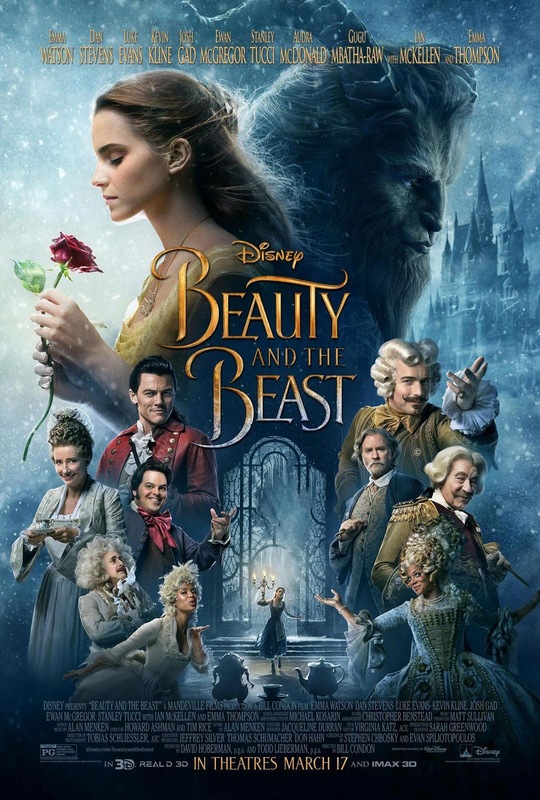 Posted in 2017 Movies, Disney, Movie Review.Tagged Beauty and the Beast, Bill Condon, Dan Stevens, Disney, Emma Watson, Josh Gad, Luke Evans.